So, you like YouTube. You embed videos of sleeping kittens and car crashes on your blog, Web site or social networking site of your choice. You can do that with our videos, too. Here’s how. I know this takes a few more steps than other sites, but bear with me. It’s really easy, promise. First, mouse over the vid, as you see here and find the expanding box icon called “Detailed View.” I know you think it should be in the “share” option, and I agree, but I don’t have any control over that. Sorry. Now that we’ve clicked that box, we can view the video larger, or get the embed code, a la those other video sites. Here, click the little box with the green plus sign that says “Link”. NOTE: You can’t click that link until the Geico guy’s ad finishes at the beginning of the movie. Again, sorry, but we’ve got to keep the lights on around here. 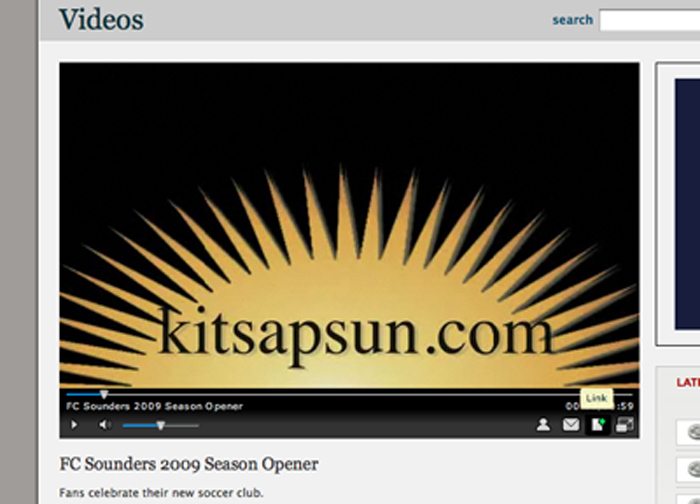 Once the rising Kitsap Sun logo appears, you’re good to go. The box you see contains two options. In the top box, you can select the code to embed the player in your Web site. (Make sure you get it all. You have to scroll down to get it all.) The bottom box gives you an option for a text link. 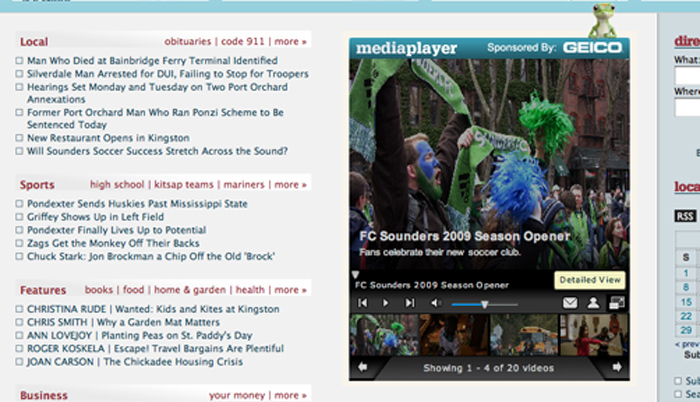 Now, you have the power of embedding Kitsap Sun videos. Happy viewing.